One of the keys to a successful Scouting experience for young people, second only to the selection of the right person for each responsibility, is trained volunteer leadership. Leadership training provides adult leaders with fundamental information about the aims and methods of the movement, as well as specifics about their particular roles in Scouting. Whether you are a new leader or an experienced leader, there is a training program for you! You might be wondering where to start, or what to do! Training is a continuous process throughout your scouting career. Young and old, new to scouting or experienced in scouting, there is always training for you. Call your district training team to find out more! Everyone requires training for anything that is to be done well. Unit leaders are trained so that young people receive a worthwhile experience full of fun and adventure. How effectively the Boy Scouts of America can influence the lives of young people depends to a large extent on their leaders' abilities and understanding of the aims, principles and techniques of their various jobs within Scouting. It has also become mandatory for all leaders to be trained for units to be re-chartered as of 2011 making training a cornerstone of success for any unit in scouting. This Trained Leader Document will tell you the required and recommended training courses for your leadership position in Cub Scouting, Scouting BSA, Venturing and Sea Scouting. Youth Protection Training (YPT) is required every two years. 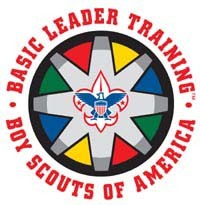 This is followed by a Leader Position-Specific training for the level of scouting where you serve. It can be completed online or at various locations in San Diego Imperial Council. Training continues along the scouting trail from position to position and it is recommended that leaders work to stay 1.5 years ahead of their current position to be able to fully maximize training for their scouts’s overall experience. That includes intermediate and advanced training. Most BSA training courses do not require recertification with the exception of Youth Protection Training (YPT) which is required every two years. Some courses may require re-training at the discretion of Course and Camp Directors. These repeated courses are designed to ensure the safety and security of scouts and adult scouters attending certain events, activities or outings. Consult Course and Camp Directors and or District Executives to ensure your unit has taken the requisite classes before any trip, trek or unit high adventure outing. Note: National Camping School certification is authorized for five camping seasons. In person or onsite training can take place in any District or Council. To see all training opportunities provided by the San Diego Imperial Council and its various Districts visit the SDIC Training Website. Watch here for more information regarding specific Tecolote District course offerings. On-Line Training Opportunities (also called Supplemental Training) may be taken anytime at Scouting U. With your BSA ID number (from your membership card or see your unit leaders) you can log into the my.scouting.org e-learning website to access the courses. Successful completion of these courses goes directly into your BSA Scoutnet records.